This month, we celebrate the Hina Matsuri at Escape Hunt Tokyo! Also known as Girls' Day or Dolls' Festival, the Hina Matsuri, held on the 3rd of March, is a Japanese celebration dating back to the Heian period. A few days before the 3rd of March, when the festival is held, little girls and their mothers display precious dolls representing the Emperor, his wife and the imperial court on an altar at home. Those dolls, which are sometimes passed down from generation to generation, are supposed to take away evil spirits and allow the girls to grow up healthily. Traditional cakes coloured pink (refering to peach flowers), white (refering to the snow) and green (refering to a new growth) are also placed on the altar. On the day of Hina Matsuri, families get together and enjoy traditional dishes such as chirashi-zushi, clam soup served in the shell, and sakura-mochi. 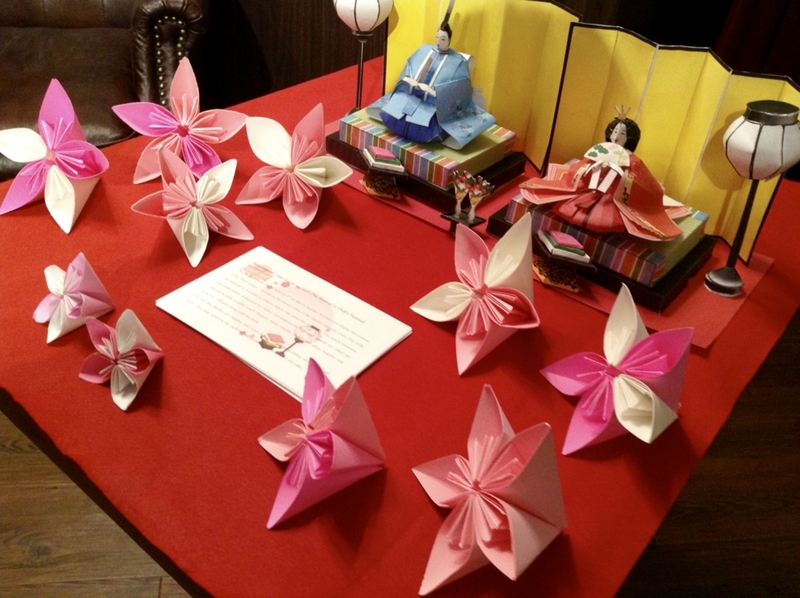 For the occasion, we will be happy to share with you some hinaarare, the traditional snacks eaten for the festival, and show you how to do your own Emperor and Empress origami. So come to Escape Hunt Tokyo to celebrate the Hina Matsuri with us, and get to know a bit more about the Japanese culture! What Christmas presents for your loved ones? escapehunttokyo is using Hatena Blog. Would you like to try it too?